Playing to Win: Raising Children in a Competitive Culture follows the path of elementary school-age children involved in competitive dance, youth travel soccer, and scholastic chess. Why do American children participate in so many adult-run activities outside of the home, especially when family time is so scarce? By analyzing the roots of these competitive afterschool activities and their contemporary effects, Playing to Win contextualizes elementary school-age children's activities, and suggests they have become proving grounds for success in the tournament of life—especially when it comes to coveted admission to elite universities, and beyond. In offering a behind-the-scenes look at how "Tiger Moms" evolve, Playing to Win introduces concepts like competitive kid capital, the carving up of honor, and pink warrior girls. 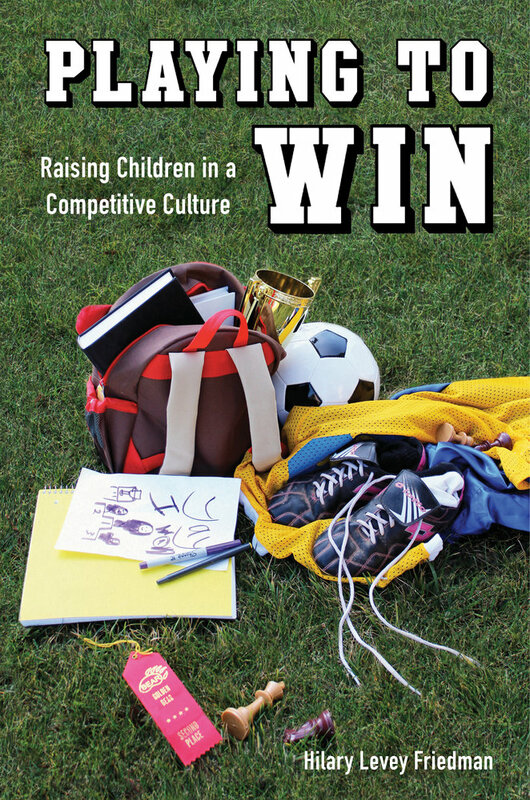 Perfect for those interested in childhood and family, education, gender, and inequality, Playing to Win details the structures shaping American children's lives as they learn how to play to win. Hilary Levey Friedman, PhD is an affiliate of the Malcolm Wiener Center for Social Policy at the Harvard Kennedy School. She recently completed a postdoctoral fellowship at Harvard University as a Robert Wood Johnson Scholar in Health Policy and she received her PhD in Sociology from Princeton University.